The ‘golden age of radio’ may be gone, but antique radios are still going strong. Whether you’re interested in a specific manufacturer or style (catalin, transistor, cathedral or console), there’s a radio out there for you. 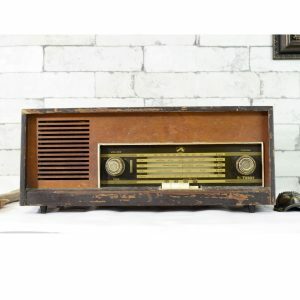 Vintage radios are fun, classy, and add a touch of nostalgia to any decor. Whether purchased for the sound or look, they definitely add a unique element to both. Many are very inexpensive, working or not, and offer great value for those who want to take a trip down memory lane. Most people who are interested in owning a vintage radio are after a certain look. For some, vintage is vintage, and something from any era that looks or sounds great will do. Others, though, want something from a specific time period, year, or manufacturer. When adding a vintage radio to a room, it can add interest no matter what era it is from.